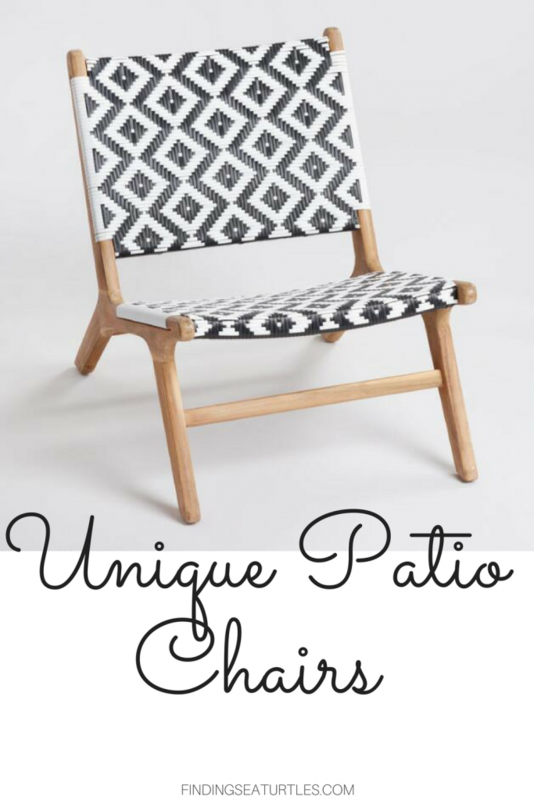 8 Patio Chairs That Keep Cool During Hot Summers! 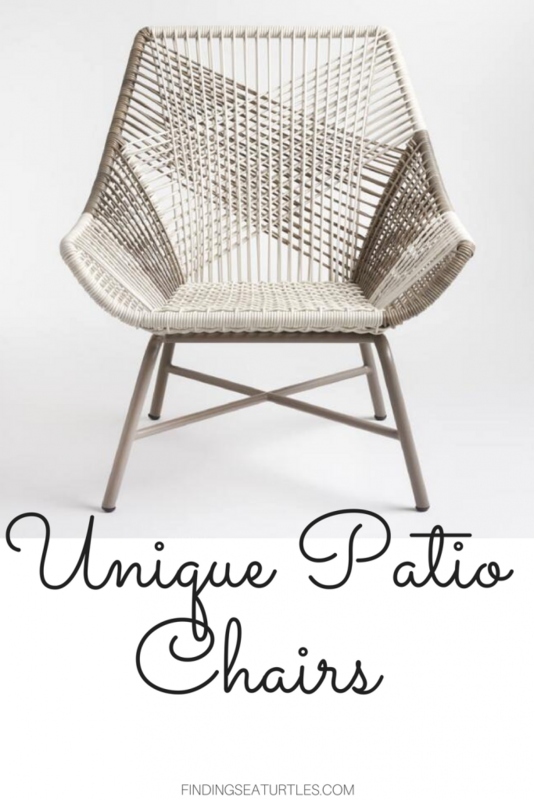 Some cool patio chairs that have become more popular recently are the all weather wicker chairs that were inspired by patio chairs in Southern Spain. Patio chairs in coastal Southern Spain need to be tough, withstand intense heat and humidity yet when you sit on them they aren’t too hot that you risk burning yourself. Durable, stylish, and functional chairs that can make your home comfortable and stylish. Some of these patio chairs are stackable and portable enough to store away when they are not needed. A perfect fit for those of us with limited space or small space living arrangements. 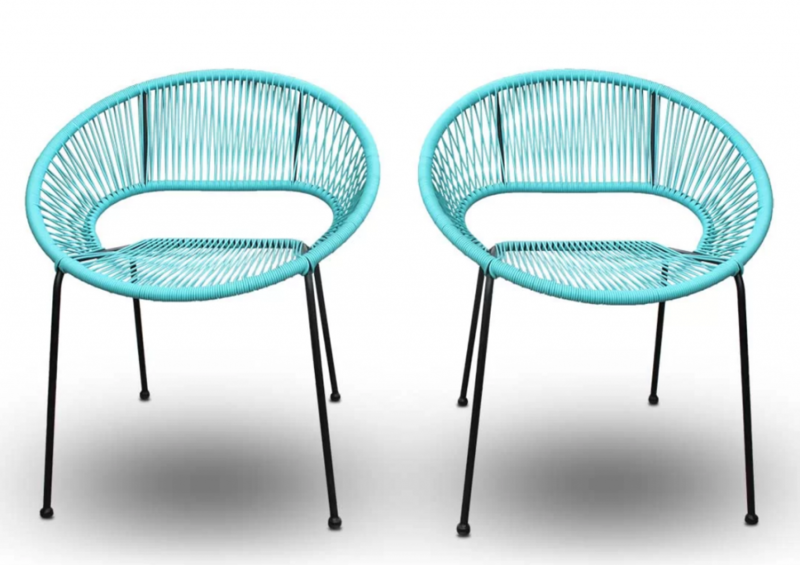 These are 8 cool patio chairs that remind us of those warm, sunny coastal days in Southern Spain. Take a look and let us know what you think! The Gray Woven All-Weather Wicker Andalusia Outdoor Chair was designed with a wide-open effect, reclined seat, and in neutral colors. 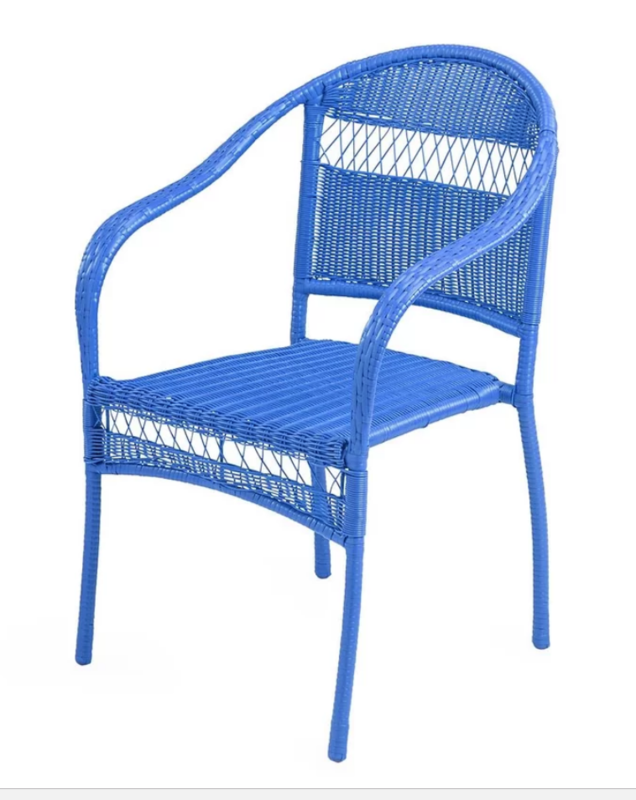 The iron legs support the weather-resistant resin wicker chair that was crafted similar to string chairs. The Black and White Strap Girona Outdoor Accent Chairs were inspired by coastal Spain with a blend of style and relaxation in mind. The Girona Accent Chairs are a perfect fit for a seaside veranda, made of acacia wood and weather resistant woven wicker straps in a diamond pattern. A wide seat with reclining back for total comfort. 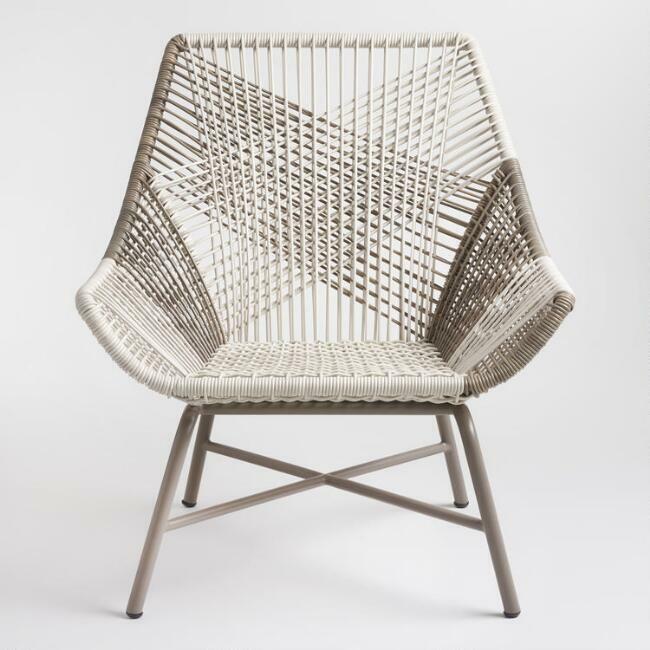 The Degroot Stacking Patio Dining Chair is based in a Mayan hammock weave. The lounge chair can be used indoor or outdoors. 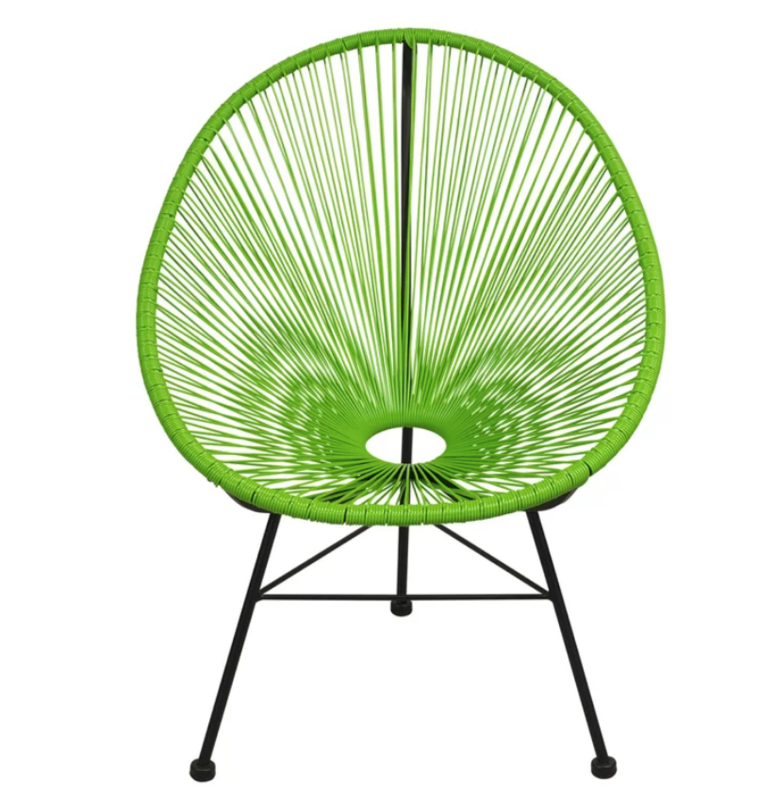 The cool Degroot patio chair is made of UV-protected vinyl green cord and black legs. 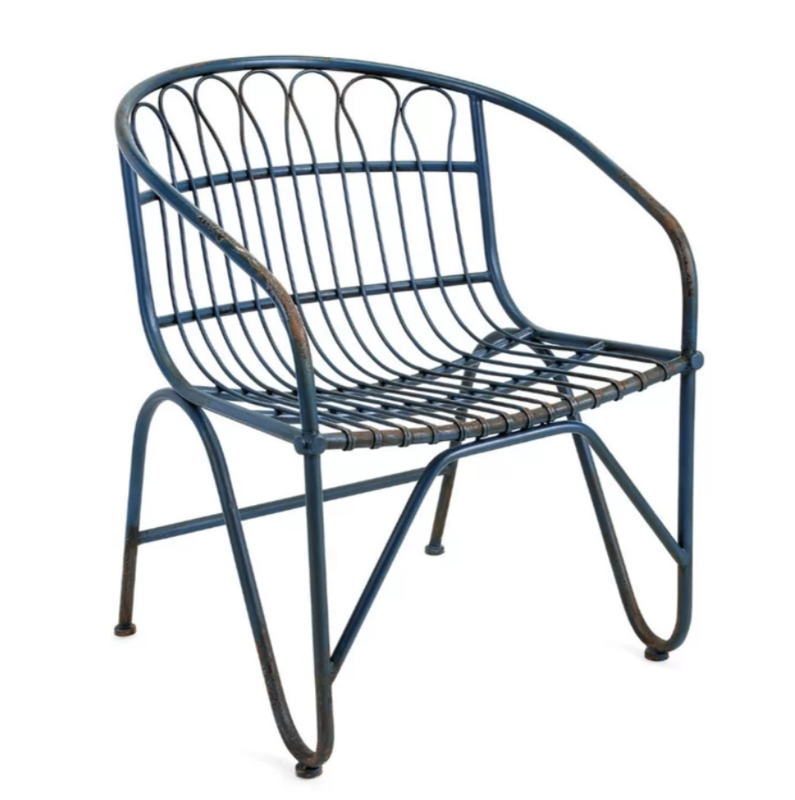 The Tangier Wicker Stacking Patio Chair is made of weather-resistant powder-coated steel frame. The Tangier is stackable for quick storage. 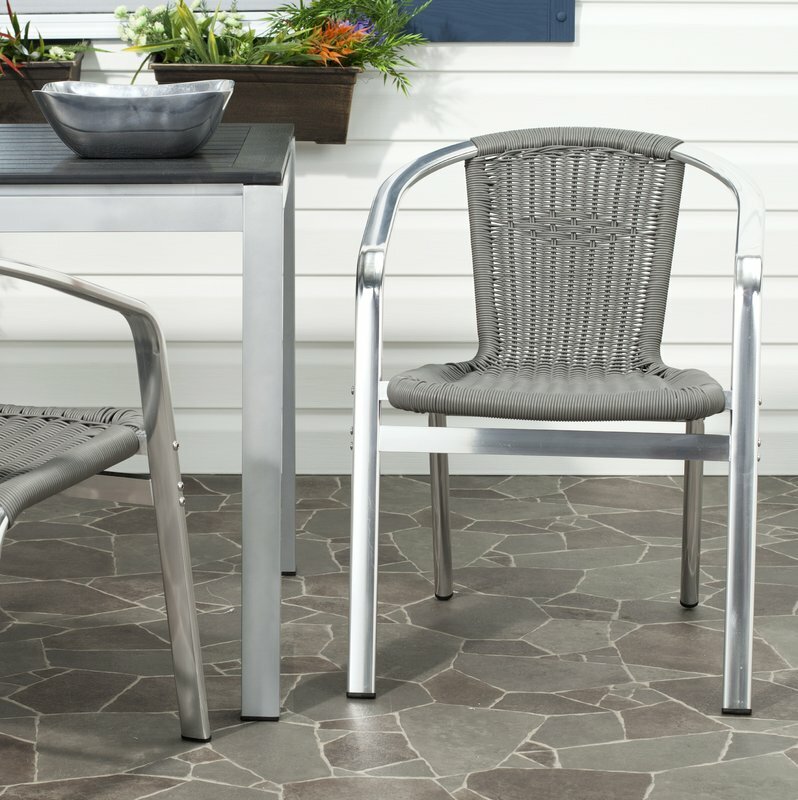 The Correa Stacking Patio Dining Chair is an outdoor armchair set constructed of aluminum that adds durability, strength and stability. A two chair set that is contemporary for indoor or outdoor use. 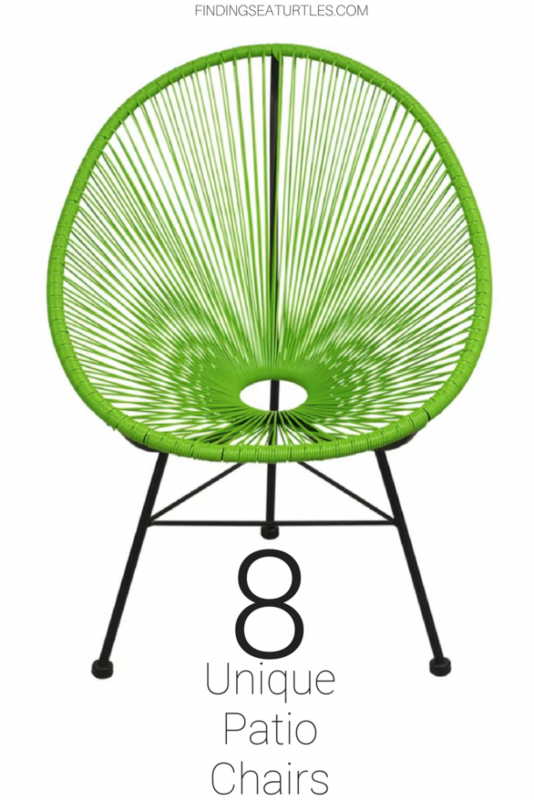 The Radcliffe Stacking Patio Dining Chair is a modern stylish patio chair with a steel base in a bright green. 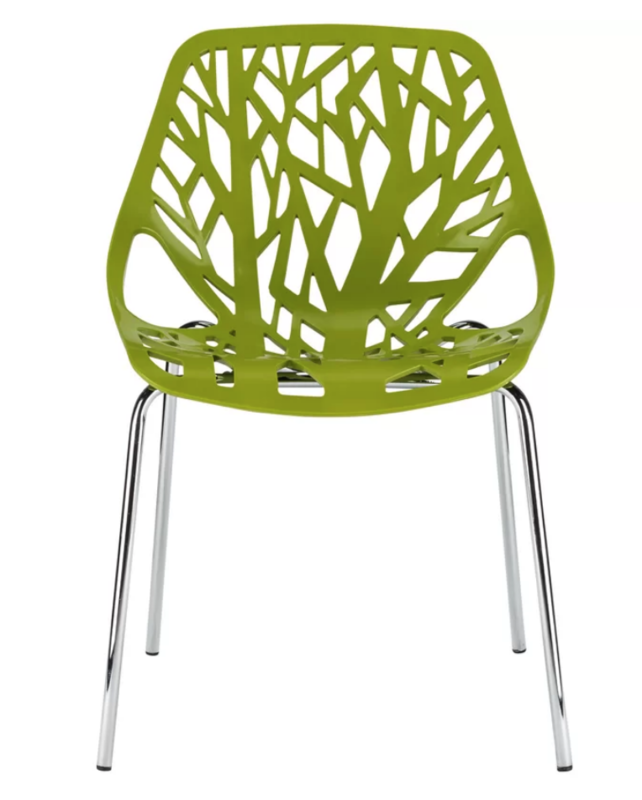 The seat and chair back is crafted in molded plastic with a cut-out tree design. For indoor or outdoor use, the Radcliffe adds style to any porch, patio, or deck. The Ehrlich Stacking Patio Dining Chair is a generous seat size with comfortable strapping for those nights when everyone lingers around the dinner table to discuss the many summer day’s activities. A perfect patio chair to relax, lounge, and cheer the many accomplishments of the day with family and friends. The Ehrlich is made of a powder-coated steel frame for durability and wrapped in polyethylene cord. The Tapia Metal Dining Chair has a distressed blue finish that provides a charming look to your decor. 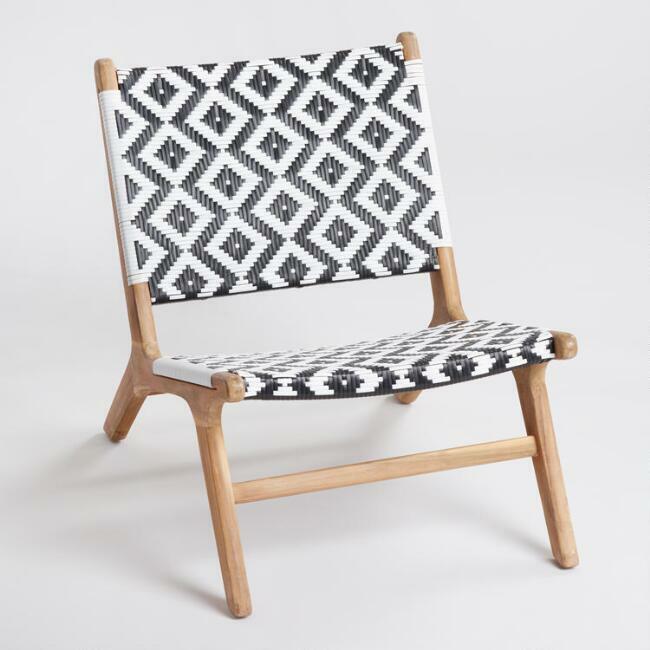 The Tapia chair can be used indoors or outdoors with its distinctive look. 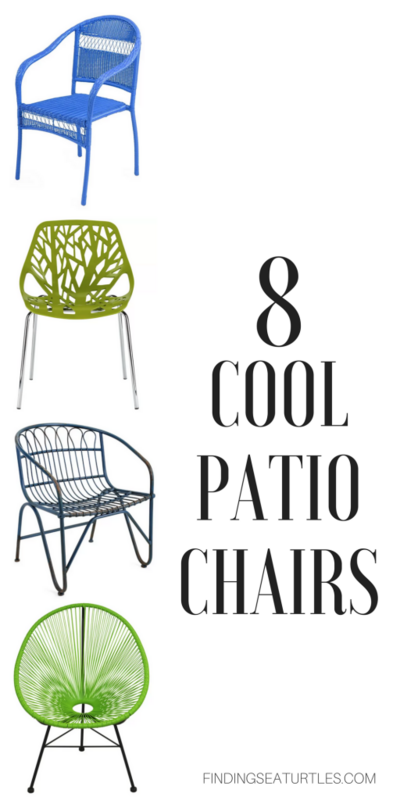 These are 8 Cool Patio Chairs that are comfortable, stylish, multi-functional and can work with many decors. Many are either foldable or stackable for quick removal or setup. If you try any of these 8 Cool Patio Chairs let us know how you make out. For information on garden stools for small space living, check out our post 8 Gorgeous Garden Stools and bistro tables post 8 Bold Bistro Tables. And if you have any questions be sure to reach out to us in the comments below. We are always ready to help.